Walk into your local wine shop, and you are faced with hundreds of different options and choices. Which wine is the right one for you? How will you know? Unless you buy the same wines all the time, you are about to drop your hard-earned cash on a bottle that you may or may not like. Why? 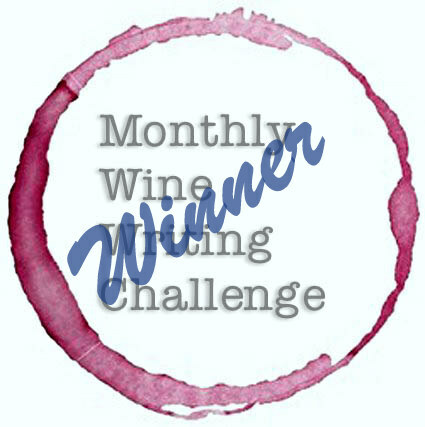 Allison, the OkieWineGirl, wrote an amazing piece for Monthly Wine Writing Challenge #30, and won the challenge. As all winners do, she had the honor of selecting the topic for #MWWC31. She chose: Faith. Boiled down to its essence, faith is simply placing trust in someone or something. Sometimes that trust is given based on past experiences. Other times, it is with no prior basis or evidence for believing in the person or thing. Often thought of as a religious tenet; faith actually occurs in all aspects of human life. For example, I have faith that the meteorologist got the weather forecast right for my outdoor picnic. I have faith that my boss will pay me for the work I have done. When I get in my car, I have faith that the other drivers around me will operate their vehicles safely. And when I head into that wine shop, I have faith that somebody along the supply chain, with good taste, has sampled the wine I’m about to buy, and enjoyed it enough to recommend it for sale. In other words, I trust others peoples’ decisions and recommendations, and on faith, I am willing to try that unknown bottle. This faith, however, begins long before I walk into those hallowed wine shop halls. At some point, a farmer looked at a plot of ground and had faith that a particular grape variety would grow well there. That farmer invested faith and dollars in planting and cultivating the vines; a process that takes years before recognizing any dividend. Over those years, that farmer nursed and tended those vines as they grew and matured, not knowing whether his faith will be rewarded. Next, a winemaker bought the farmer’s grapes, with the faith to believe that she could produce a wine that people will enjoy. In the same way that the farmer may rely on his farming skills, the winemaker may have a documented track record of skill in making quality wines. However, she needs faith to trust a new source or grape variety. She purchased the grapes, and on faith, started the winemaking process with them. Many factors beyond her control can conspire to foil the winemaker’s plans, and result in an unpopular wine. But she has faith to believe the outcome of her hard work will be successful. Once the wine was fermented, aged, and bottled, the winemaker presents it to her audience. At some point, this will include a representative from a distributor. This representative tastes the new wine, and likes it enough to recommend this new wine be added to the company’s portfolio. This, too, is an act of faith. Will consumers like the wine as much as the representative did? The distribution company itself has faith in the representative; that he knows and understands the trends and demands of what customers are looking for. Relying on that faith, the distributor buys pallets of the wine. The next faith hurdle is the buyers from the myriad retail sellers. Our friendly distribution rep must introduce the wine to the buyers, who will taste it and decide whether they think their local consumers will appreciate it. Stocking an unpopular wine could result is substantial losses to the store. So the buyers must have faith to believe that their customers will enjoy and buy the wine. In the same way, once that wine hits the stores, the sales employees have to sell it. They must have faith in the buyers, and trust that they brought in a wine the local shoppers will like. This brings us full circle to us; the wine consumer. If you are like me, you enjoy variety in your wine journey. When I walk into my local wine shop, eager to find something new and unusual – maybe even obscure – I have faith that the store associate knows the wines available in the store, and can provide reliable recommendations. Over time, I’ve learned which associates have similar tastes to mine, but even then we don’t always like the same things. Still, when I’m about to drop a portion my hard-earned paycheck (since my faith in my boss was not misplaced and he did pay me) on a new, unknown bottle, it is a leap of faith. Will I like it? Will I agree that it was worth the price? Will my dinner guests enjoy and appreciate it? So many variables exist that are out of my control, I simply must trust and exercise faith. Faith to believe. And finally, writing this blog post is an act of faith. I trust that people will read it (and if you are still reading all the way down here, I thank you most sincerely.) I trust that those of you who read this post will enjoy it; and that it may perhaps resonate with you. If it does, my faith will be rewarded. I had faith, that you would find a great way to approach this article. Haha! Thanks, John! You’re too kind. I so enjoyed your thought provoking post Kent! Many things boil down to faith in our lives and as you say, it certainly touches the process of wine from start to the end consumer. I’m so glad you liked it. I really appreciate your comment. Thank you! You are right every step of wine making and wine purchasing comes down to faith.